What does PRCA of Hollywood do? Our mission is “To enrich the quality of life for our residents and guests through memorable recreational experiences.” This is done by acquiring, developing, programming and maintaining City park facilities as well as coordinating a multitude of recreation services and events. Parks and Recreation this month! Click here to check out all that's scheduled for this month in Hollywood! Recreation: Community centers, room rentals, auditoriums, gymnasiums, classes and programs. Golf and Tennis: Eco Grande Golf Course, Hollywood Beach Golf and Country Club, Orangebrook Golf and Country Club, and David Park Tennis Center. ArtsPark: 10-acre park, open air amphitheater, concerts, food trucks, art exhibits, glass blowing, room rentals, classes and programs. Parks: Concert venues, dog parks, pavilion rentals, park map and walking trails. Aquatics: Swim lessons, Hollywood Swim Team, certifications and open swim. 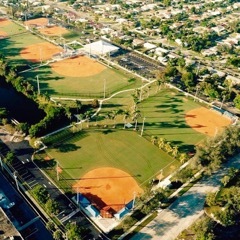 Athletics: Youth and adult sports, background screenings and field rentals. 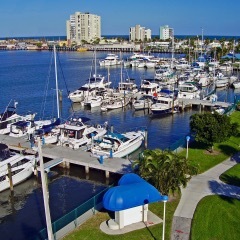 Marina: Docking, slip rentals, fuel sales and weather underground. 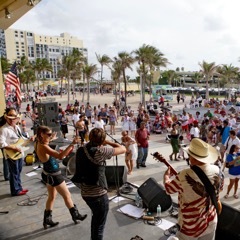 Special Events: Parades, festivals and celebrations, beach weddings, concerts, 5K races and event/vendor applications. Is a permit required to be married on the beach?